Thank you for your interest in Orthodontic Staff Appreciation Week! 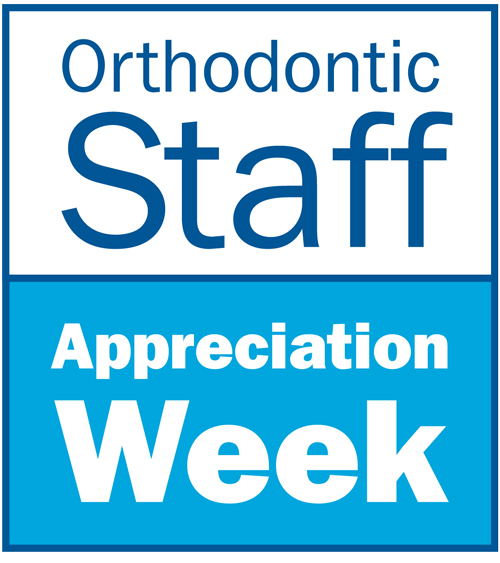 The next Orthodontic Staff Appreciation Week is scheduled for June 3-7, 2019. This page will be updated with new materials prior to those dates. The week of June 4-8, 2018 is Orthodontic Staff Appreciation Week! Use the resources below to recognize your staff and celebrate with both staff and patients. However you celebrate, be sure to share your experiences with the AAO by completing a Celebration Publicity Form. Your practice may be featured in an upcoming AAO publication!